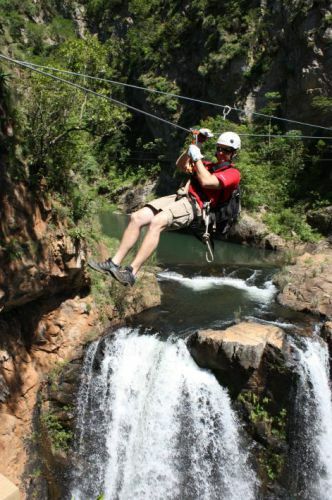 Explore the hidden secrets of the high forests along the Magoebaskloof Canopy Tour as you cable-slide between tree-top platforms set high within the branches of giant forest trees and amidst the towering cliffs. Keep your eyes open and you may be lucky enough to catch a glimpse of the giant kingfisher as you “fly” above this spectacular waterfall gorge. Thirteen purpose-built platforms, linked by steel cables, allow you to foefie-slide dozens of metres above the forest floor within the tangled afro-montane woods along the banks of the Great Letaba River. This incredible journey will give you an exhilarating peek into the spectacular fauna, flora and geology of one of the Limpopo Province’s most diverse natural wonders. This is an adventure for anyone from seven to 70 years old (as long as you weigh less than 120 kilograms). 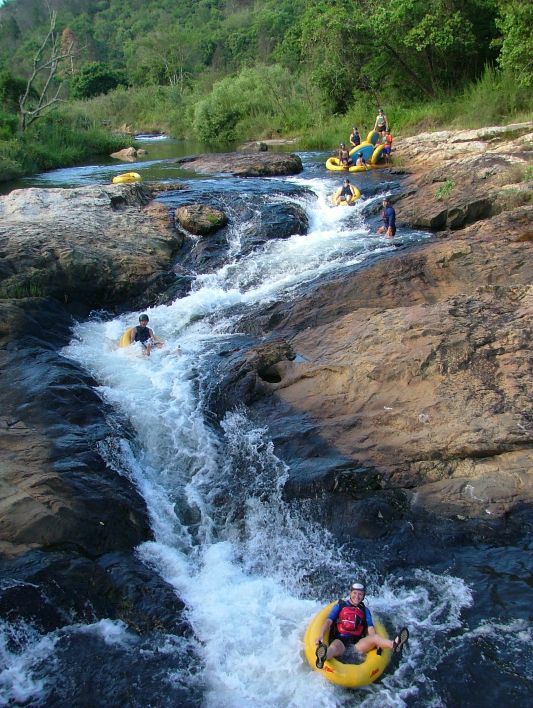 It is great for the whole family, nature lovers or outdoor thrill-seekers, but make sure you book well in advance as groups are restricted to eight people. Trips fill up quickly even though there is a departure every half hour and in just about any weather conditions. Plan to be out and about for two to three hours. The Magoebaskloof Canopy Tour, about 1 hour 30 minutes from Sunbird Lodge, is just off the George’s Valley road (R528) between Haenertsburg and Tzaneen. Coming from Haenertsburg, turn right at the Magoebaskloof Canopy Tour sign (FARM GV11) and park at the reception.